Red, blue, and yellow are just the tip of the iceberg when you have a good imagination. In this colorfully illustrated story, a young girl makes her way through the dayfirst painting a portrait of her dog, and then painting anything and everything she can find. With a simple, affectionate plot that teaches colors and embraces the creative process” for many kids, Paint Me! offers a message of love and discovery. 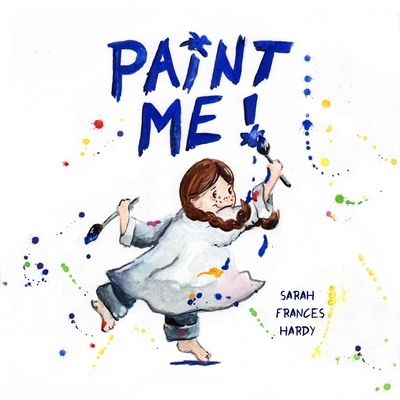 Featuring a heartwarming story and simple yet striking illustrations from author and illustrator Sarah Frances Hardy, Paint Me! encourages children to explore their creativity and express themselves while learning their primary and secondary colors. For parents who remember reading Harold and the Purple Crayon when they were young, or for those who love more recent books about art such as Beautiful Oops!, this is one sweet story you won’t want to have missing from your library. Sarah Frances Hardy is a children’s author, illustrator, and professional painter. A former lawyer, Hardy studied art at the Parsons School of Design and has had her paintings featured in galleries and commercial establishments. Her first children’s book is titled Puzzled by Pink and was published in 2012. Hardy lives with her husband and three daughters in Oxford, Mississippi.